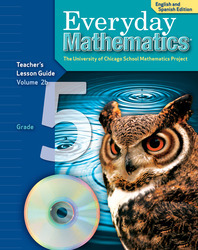 The Teacher's Lesson Guide provides easy-to-follow lessons organized by instructional unit, as well as built-in mathematical content support. Lessons include planning and assessment tips and multilevel differentiation strategies for all learners. This English/Spanish Edition provides dual language support.